Finally, Facebook Offers are coming to small businesses! The big boys (and girls) have enjoyed the spoils for a while now. I’ve been looking forward to the day when I can start using it for my Page and my clients. I first heard the news from AllFacebook that Facebook Offers are now available to small businesses through a beta test. I was disappointed to see that my Page didn’t yet have the feature, though a client does. Facebook Offers are very easy to create. Let’s take a spin, shall we? Facebook Offers headlines can be no more than 90 characters. Keep it short, to the point, casual and free of marketing jargon. Upload a square thumbnail image that will represent your offer. Make sure it’s a closeup that is clear and easy to see. Images of people using your product typically work best. 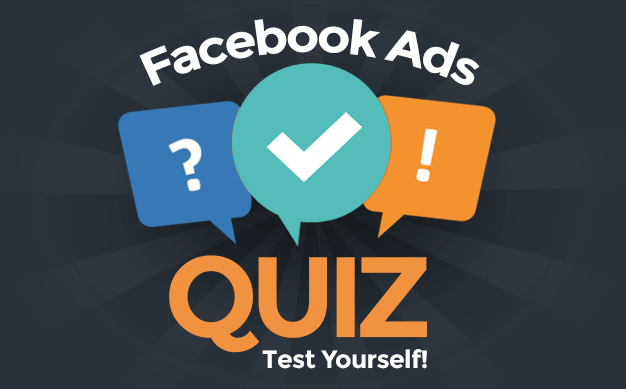 By default, a Facebook Offer is available to an unlimited number of people. So if you’re a local business or you have limited supply and your Offer becomes viral, this could be a bad thing. You should consider a limit if you may not be able to keep up with demand. Options are 100,000, 10,000, 1,000 or Custom. The Custom option allows you to enter any number (including 1). Make sure that there will be enough time for people to claim and redeem the offer, but you probably want to limit it enough to increase urgency and demand. 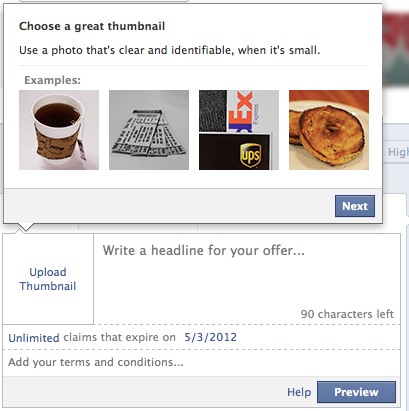 If there is any fine print that is needed for your Facebook Offer, add it here. Again try to keep this short. When Fans claim an offer, they will be sent an email confirmation. They can either print it off or show the confirmation to you from their phone. Your staff will need to be prepared for this to avoid confusion. Have you created your first Facebook Offer yet? Let me know what you did in the comments below!